At HHI we install the unique Ultra window and doors systems. 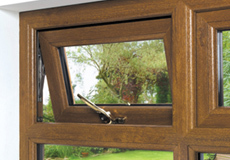 Its sharp lines and smooth finish means you have a very modern looking window system which compliments any home. Whether it’s replacing windows in a domestic home, a new build home or using Ultra to complete a commercial contract our design team will come up with a window solution that has many advantages and is the best value for money around. Whether it’s a new build house, a domestic replacement, or a new commercial project contact us for a free survey and quotation and let one of our experienced surveyors demonstrate the Ultra or Ultra Plus window system to you. What is the Scrappage Scheme? The Scrappage Scheme is very simple, giving you money for your old windows, whilst also offering you a discount on your brand new window frames too. You can receive up to £100 per window for your old windows, going towards your upgrade to new energy efficient glazing. When we remove your old windows and doors, we will try to recycle every component no matter how big or small. Why choose the Scrappage Scheme? Now is probably the best time to upgrade your windows to energy efficient ones as energy companies are once again, hiking up their prices!